Desmond. 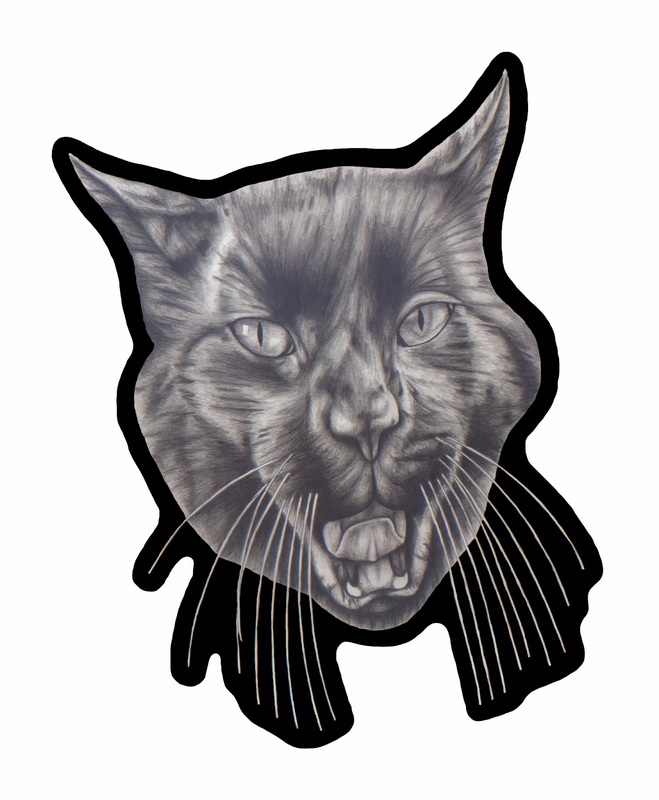 This cat portrait says it all. This is Desmond. 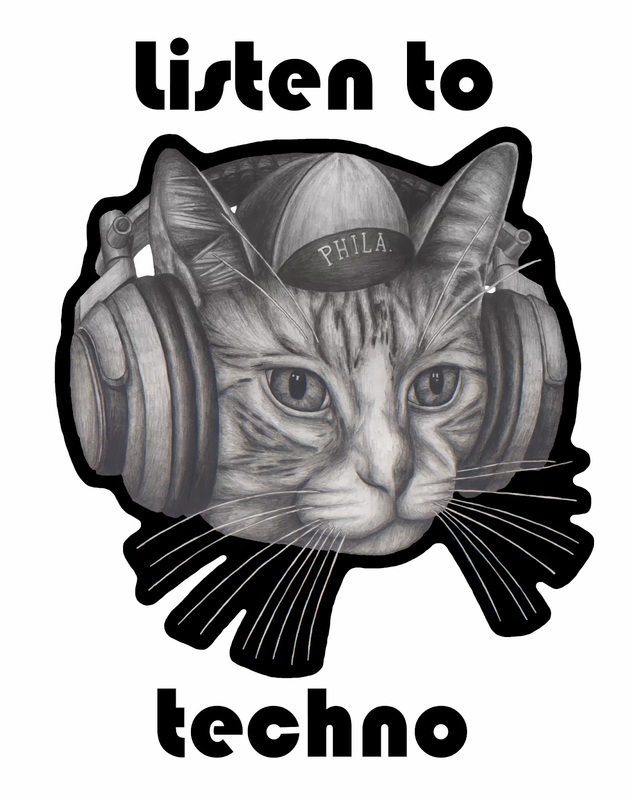 He is the toughest alley cat in Philly! I helped this cat out for 2 years but I had moved recently and most likely won't see him again. I've seen this cat go through some of the roughest injuries I've seen a cat possibly have to deal with. He wasn't that pleasant to me most of the time but he would come to my door twice a day for food and water and treats. Sometimes he would even hang with me and lay in the sun. The first time I saw him he was eating a hot dog on the sidewalk. I'll remember how he would follow me around and sit outside my door waiting for me to come out. This cat is a survivor. I think he will do just fine without me, but I will miss that cat. Leonardo cat mural is done! I took a class at the Philadelphia Mural Arts Program recently. This is what I did, "Leonardo", see below. I drew this at my normal drawing size for cat portraits, 14"x 17", first. I then took it to a larger size as you see here, 5' x 5'. It's been quite some time since doing a piece at this size. 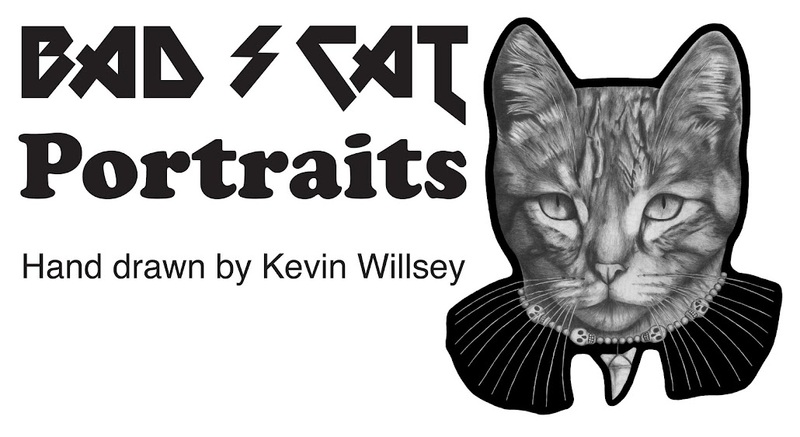 The idea behind this mural is to do a series of cat portraits at this size that would span along a wall. 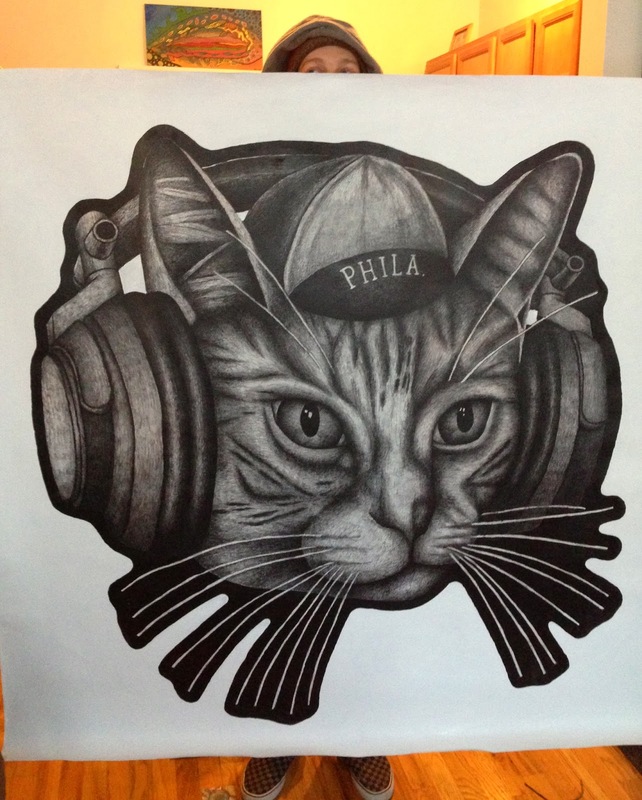 Both my cats here at BCP are from the streets of Philadelphia and so I wanted to give back to the streets of Philly. "Leonardo" will be hung up at the Philadelphia Mural Arts Program gallery in the spring, along with other artists. I'll post when the date comes around. I don't have it as of now. This is Leo, one of the two cats here at BCP studio. I did this art piece for my favorite lady friend as a gift. Leo just loves to chill out on the window sill watching squirrels while listening to beats. This print is available for you, it is a high quality digital print on acid free paper for $25. The print is 16" x 20".